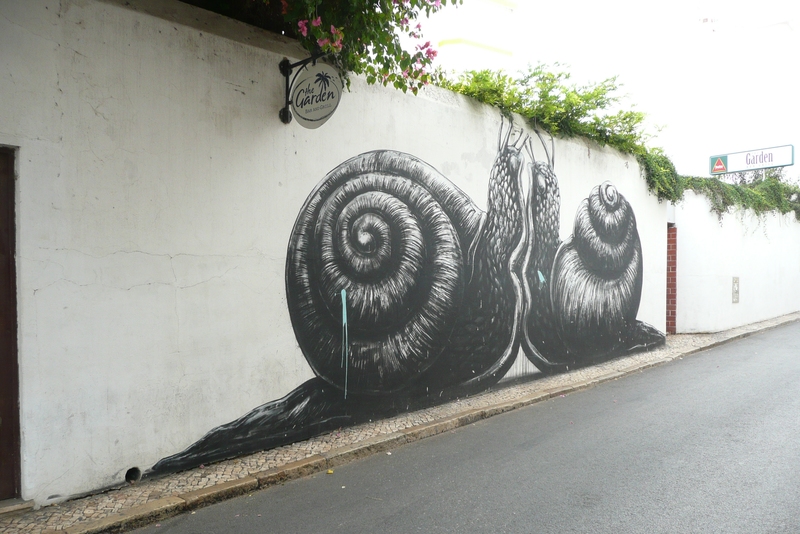 My (very occasional) blog has previously touched upon Street Art as a topic. 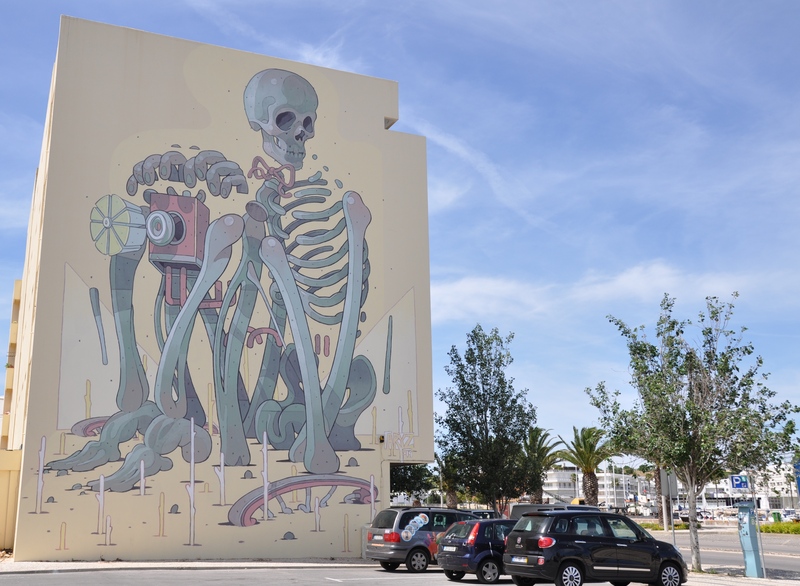 I featured the skeleton on a building in Lagos (Algarve) and can’t resist showing it again below. 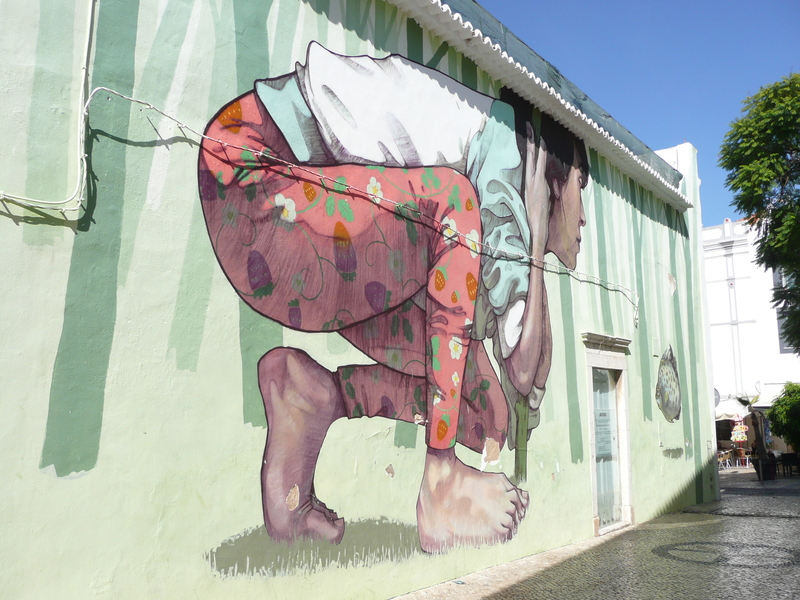 But in the last year or two many fine examples have been popping up all around Lagos, supported by local arts organisation Laboratório de Actividades Criativas (LAC). 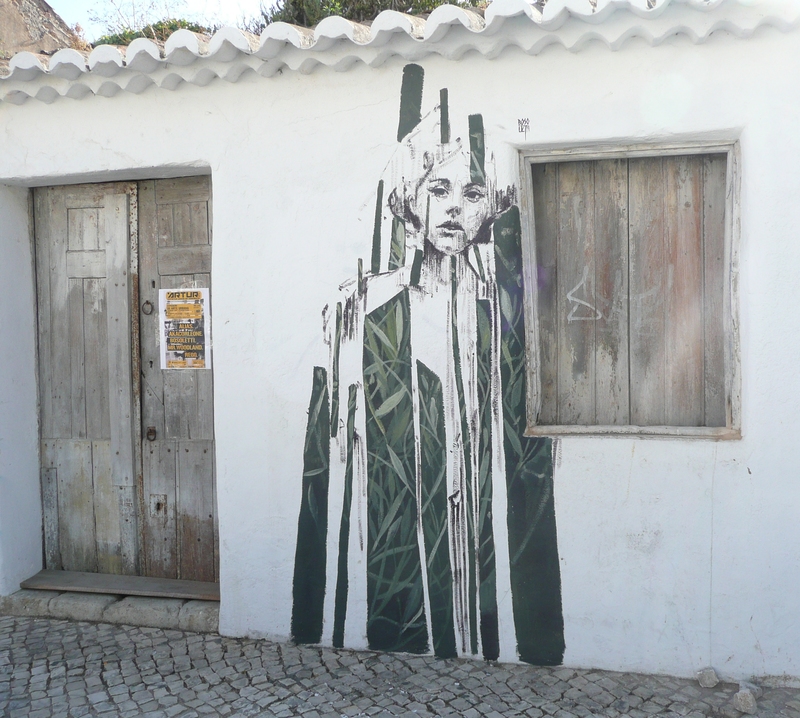 LAC is part financed by the Portuguese government and is based in Lagos’ old town jail, right next door to the GNR (police), in Largo Convento Sra da Glória. 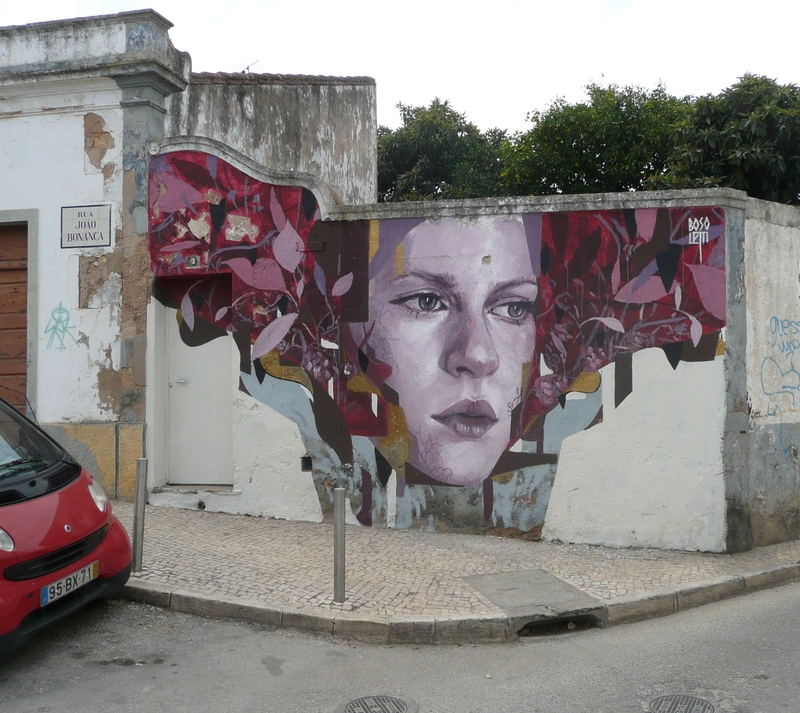 Every year they invite well known international street artists to Lagos. Their first task is to redecorate the inside of the jail which is worth a visit in itself. Viewing by the public is free of charge – just show up during working hours and say hello. 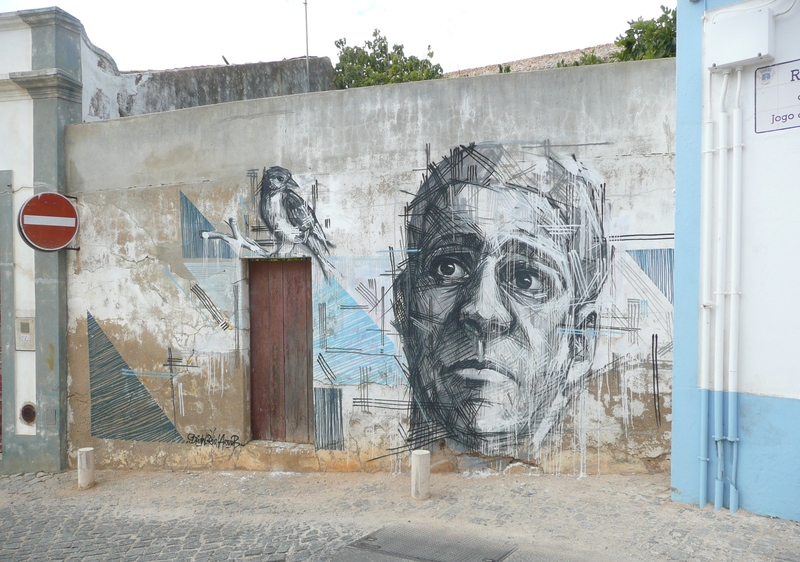 Once the jail has been completed the artists hit the streets to produce works like those pictured here. 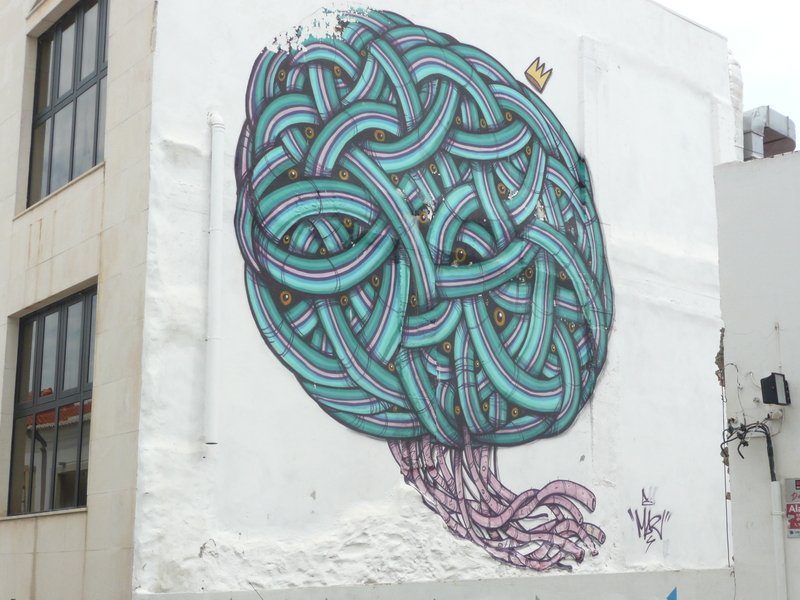 The above is one of many by ALIAS to be found on the streets of Lagos. The above looks as good close up as from afar. The last one above is more gruesome viewed close up, but it was the fact that it was in a ruin that struck me. Poignant! How come these people get so little acclaim? UPDATE – TO SEE THE 2016 ADDITIONS CLICK HERE. 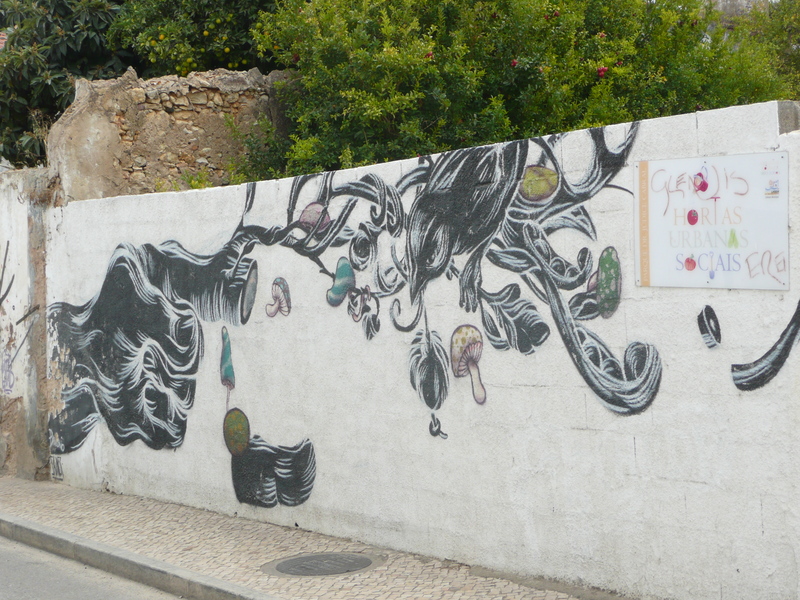 This entry was posted in Home and tagged algarve, graffiti, Lagos, street art, street photography. Bookmark the permalink. Munzees are a great idea for showing people around. It costs them nothing and all they need is a smartphone. I’ve seen some of yours around Lagos Peter. Tomorrow magazine is a good idea. I’ll contact them. 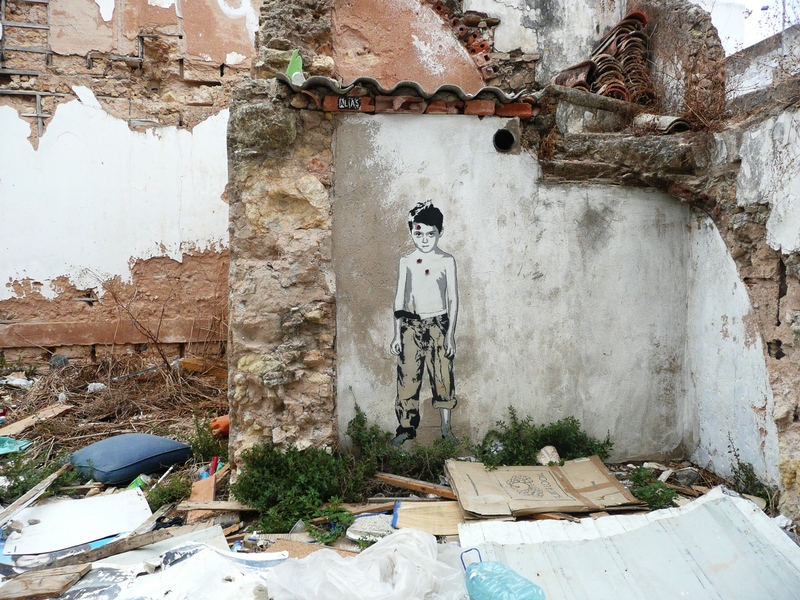 I contacted Tomorrow and these street art shots are going to appear in the next 3 issues, starting with the issue to be published in a week or so. Thanks for the suggestion. 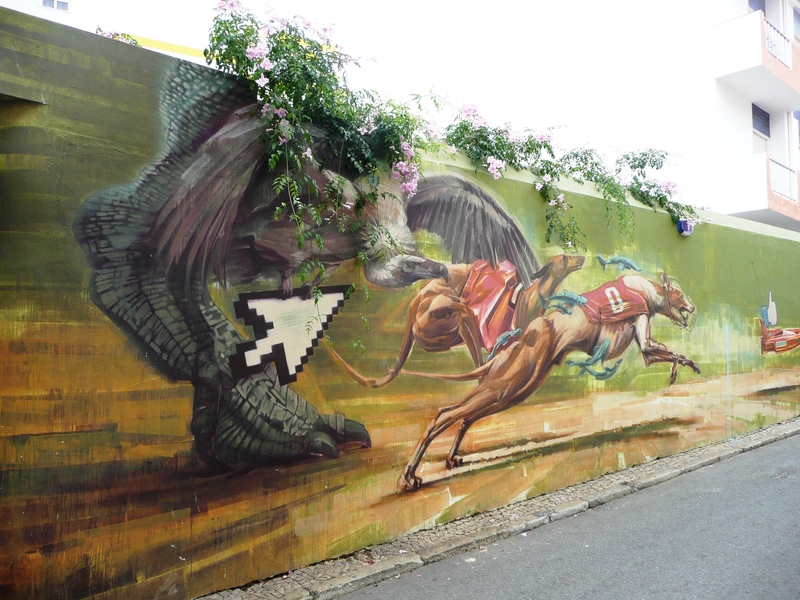 chip getting more famous….. good thing!! !